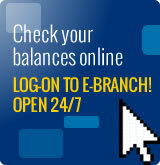 In 1960 Loan Rules Changed - Clico Credit Union. Projecting confidence...inspiring trust. On Monday 5th September, 1960, Mr. William H. Dolly was appointed President. He was a former school supervisor and CLICO Agency Manager attached to the Port of Spain office. Under Mr. Dolly’s supervision the Credit Union was revamped with the Motto “Your CLICO Credit Union Urges Save and Lend”. In 1960 he advocated that the Credit Union should have a more flexible loan policy and he had the union take out Loan Protection for the first time. 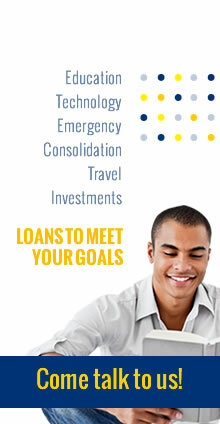 One major initiative was allowing a member to borrow twice as much as he had saved. He encouraged all staff and agents to join the credit union and warned them against falling into the hands of the most voracious of all sharks – the money lender. During this period the Credit Union Bank played a very important role in the development and expansion of the CLICO Credit Union. Mr. Herman Joseph, an officer with the bank was sent to CLICO Credit Union as an adviser to the Unions’ executive. His advice was taken and the Union met and surpassed all its targets during this period. The Union membership rose from eight (80) to one hundred and twenty (120) and loan availability increased to $7,000 from $4,000.00. In 1966 Mr. Dolly did not offer himself for reelection as he had retired from CLICO. By the 1960s, stalwarts like Enil Paul, Courtney Martin, Bernard Luces and Beryl Gooding (nee Jones) were steadfastly guiding the CLICO Credit Union along its path of growth and stability. 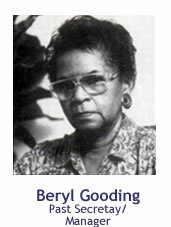 Ms. Beryl Ismay Jones-Gooding joined CLICO in 1956 and worked in many different departments in the organization. She was elected Secretary to the CLICO Credit Union in 1966. After her retirement from CLICO on May 1, 1985, she devoted her time to the CLICO Credit Union, where she worked fulltime; this was the first time that an in-house office was provided for the Credit Union. This was situated on the second floor of the CLICO Head Office building on 29 St. Vincent Street, Port of Spain. She was the Secretary and Manager of this organization for many years. 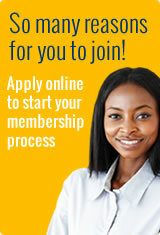 In 1987 she was appointed a Director on the North West Regional Chapter of the Credit Union League. Mrs. Beryl Ismay Jones-Gooding retired from the Credit Union as Manager and Secretary on February 29th 1996 after twenty-nine years of dedicated service. We mourned her passing on August 11, 2004. 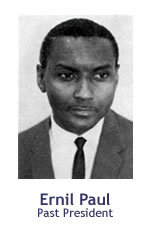 In 1966 the late Mr. Ernil Paul was appointed President of the Union. With the aim of offering the continued service to members, the management committee under his leadership obtained the part-time assistance of Mr. Kerry Newallo who is still alive today at the age of 84. 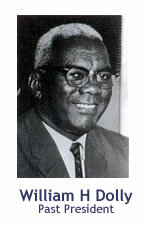 Mr. Newallo served as an officer of the League of Credit Unions and as a Director of the Credit Union Bank at the time. Mr. Newallo said that the Credit Union in the early days was referred to as, “The People’s Bank” and with this came all the adherence problems with the various Unions. His first assignment was to review the work of the CLICO Credit Union thus far and to lay down a program of activities designed to broaden the scope and at the same time to better improve the services of the Union to its members. His portfolio in the league at the time was to better organize the existing Unions and to form new Credit Unions in organizations both in the rural and urban districts. In 1971 Mr. Paul was re-elected as president and a new executive was chosen to guide the destiny of the Union. The executive soon launched a drive in an effort to maintain the continuous growth of the organization. That year the Union paid a dividend of 50% on fully paid up shares as at December 3, 1971, a declared rebate of 5% on interest was also declared. In 1973 Mr. Paul did not offer himself for reelection.